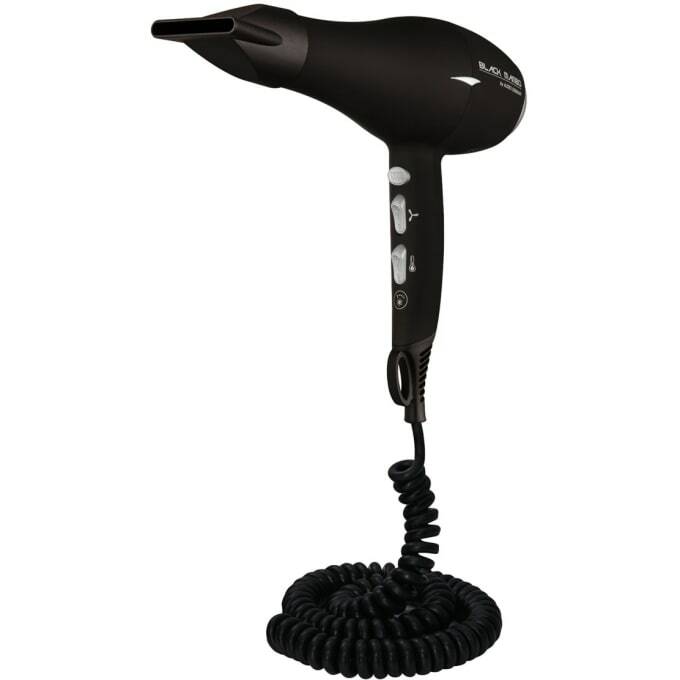 High-performance design hair dryer with ionic drying technology. Please note: the hairdryer is not certified for the American market. Unfortunately, we cannot ship this product to the US! Engineered for maximum air flow, minimum weight and extended life. EZ-Touch comfort coating. Silver accents. Do you have a question about "Black Mambo 1875"? How can we contact you?